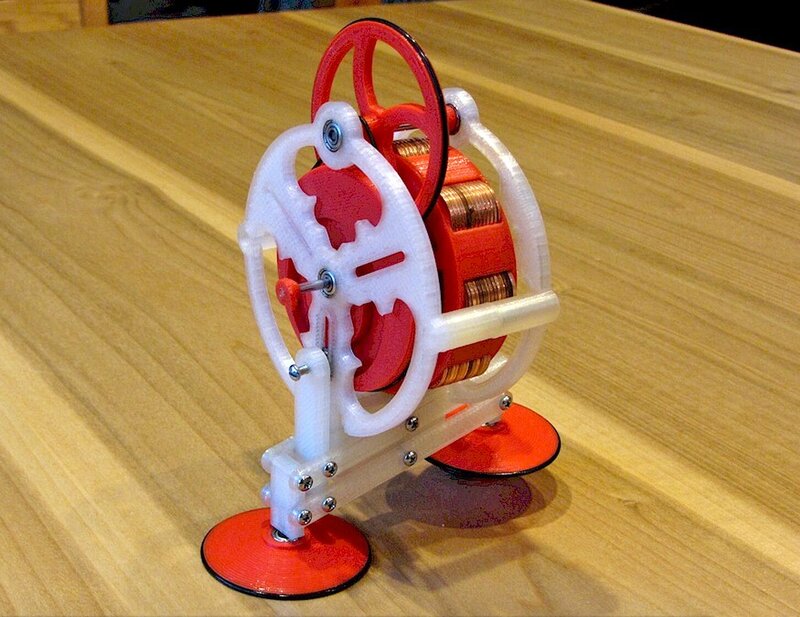 This awesome toy was originally the brainchild of John J. Jameson, who invented the walking gyroscope in 1981. 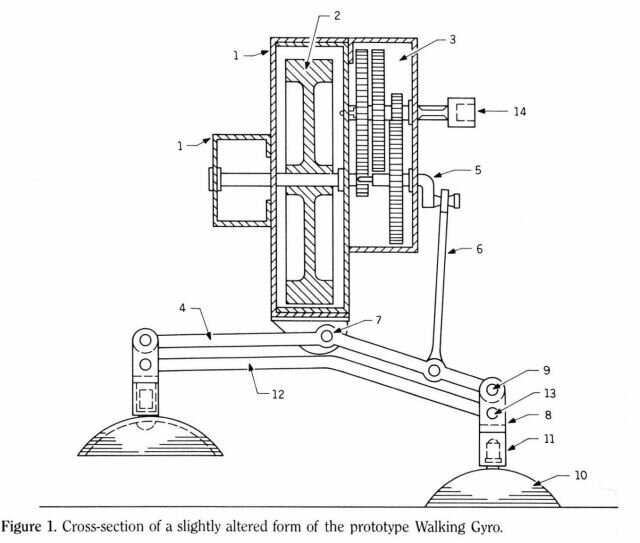 Relying on gyroscopic motion to propel itself with tiny steps, Mattel originally snapped up the patent but never brought the toy to production. So now that the patent has expired, anyone can make a 3D printed version that runs with the help of 104 pennies. The pennies are used to create the balanced wheel needed to make the toy move in tiny, steady steps. The files for the toy can be downloaded from Thingiverse. If you need help with assembly, Jeffrey Kerr, the man behind the 3D printed version, has made an Instructables to help get your toy toddling in no time. 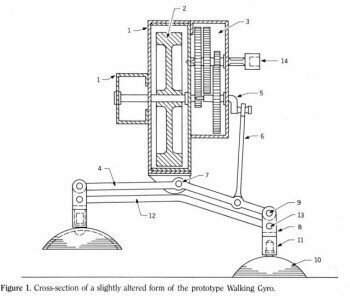 There is also a great page dedicated to John Jameson’s original invention and explaining exactly how it works including models of the first prototypes (see below).